What is the cloud? Where is this cloud? These and more are some of the questions you are probably asking yourself. Cloud computing is a term that is being used everywhere, sparking up an interest to know what it is all about. Cloud computing means storing and accessing programs and data over the Internet instead of using your computer’s hard drive. The cloud is simply a metaphor for the Internet. 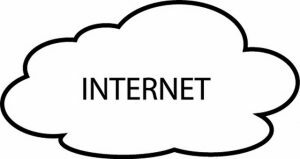 This goes back to the flowchart and presentations days where the Internet infrastructure would be represented by nothing else other than puffy white clouds. This is a set up where computing infrastructure is hosted by a cloud vendor at the premises of the vendor. As the end user, you do not have control or visibility over the location of the infrastructure, which is shared between many organizations hence being public in nature. Computing infrastructure is considered private as it is dedicated to one organization and not shared with other organizations. While Private Clouds cost more, they have more security infrastructure compared to Public Clouds. This cloud was previously referred to as company network. Companies can host sensitive applications and files on Private Clouds with less security concerns on the Public Cloud. 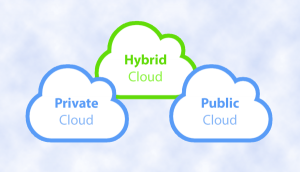 Using both the Public and Private Cloud together is known as the Hybrid Cloud. Keeping in mind that the reality of cloud computing is influencing businesses at different levels and in all aspects, there are numerous myths surrounding this technology, which obscure the potential and truth of the cloud. This myth is far from the truth as any company in the vertical and horizontal markets can use the cloud, regardless the size of the organization. As a company, you need secure storage for your data and a reliable network to run your software and applications for timely and efficient business operations. Security measures are always used in the cloud to protect clients’ data, which are paired with expertise and resources designed to keep the cloud security up to date. When it comes to keeping your data secure in the cloud, you have the choice of different security options, among them being passwords and SSH Keys. Many companies define the process of migrating to the cloud as seamless, and it is. Migrating to the cloud can happen quickly and with little downtime due to provision of reliable software and hardware infrastructure. A company can access its data and applications over the internet within a few minutes, ensuring a smooth transition to the cloud with little or no interruptions to business operations. Virtualization is software used to manipulate hardware, while cloud computing is the service that arises from this manipulation. Virtualization occurs in servers based in datacenters, and software such as VMware is used to execute virtualization. Cloud computing services such as data storage, data recovery, PABX and hosted exchange are made possible because of virtualization. While it is not always cheaper to run your business in the cloud, it is more COST EFFECTIVE. The cloud works best if your business has varying workloads and demands, where you have the chance of scaling cloud services to your specific requirements. You might be handling a voluminous project for say 3 months, which requires additional storage and computing resources. Being in the cloud allows you to purchase additional storage for the time during which your project is running. Once you are done with your project, you can scale down your storage to your normal business operations. You can use cloud computing for all segments of your business, including Mission-Critical applications for reasons such as security, automatic backup and minimal downtime. A company of any size running its Enterprise Resource Planning software on the Angani Cloud is more than likely to have its business operations including product planning, finance, sales and marketing, manufacturing and inventory management handled in a timely and cost efficient manner. It is no secret that datacenters consume large amounts of energy, but when businesses switch to centralized cloud centers from on-premise facilities, energy is saved and pollution reduced. Imagine the amount of energy you will save when running your business operations remotely! Your utility bills will definitely go down, allowing you to invest the saved money into your business. On the contrary, the cloud is creating jobs and not taking them. Industry forecasts show that by the end of 2016, cloud computing will have creating more than 13 million jobs globally. A horde of cloud-savvy experts is required, whose knowledge and capability can support and sustain growth and development of the cloud. With increase in demand for cloud services, there are more jobs to be created. Understanding the direction of cloud computing is important for businesses regardless their size because the cloud is not for techies only. Companies are reacting to the numerous prospects the cloud is providing for the developments of new business models, utilization of employee skills and creating of better bonds with consumers. The cloud has evolved from a technology that was adopted for cost cutting and efficiency to a driving force of innovation in organizations. Future developments in cloud computing will add value to businesses rapidly by automating entire business processes from request to deployment. A good number of businesses have implemented the cloud to develop innovative industry solutions. Does your company need technology to save on costs and improve business efficiency? Click here and one of our representatives will contact you.